The Bullet Electric Scooters have arrived and are here to make your journey from home to the office, school or just around the neighbourhood 10 times less stressful. 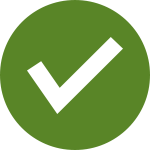 Easy to set up, use and understand, they can help you save time and money by providing you a unique and practical means of wheeled transport. Preferred by urbanites and suburbanites alike, they are the perfect solution to the ever present storage and parking problems associated with daily commuting. In terms of practicality, the Bullet Electric Scooters easily get high scores because of their durable, lightweight and foldable designs. In just a matter of seconds, you can fold them into more compact sizes. Furthermore, the stylish and elegant designs make them ideal companions to bring along when riding public transport such as trains and buses. 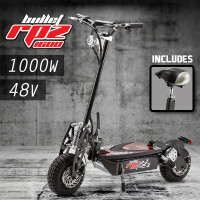 The Bullet Electric Scooters come with high quality motors that are packed with relentless power to produce some serious speed and acceleration. Their durability is never in question, thanks to extremely fine features like the high-tensile but lightweight steel frame and the use of carbon fiber technology. There are many other things to love about the Bullet Electric Scooters. The soft-grip handles, maintenance-free tyres and dependable brakes ensure that you’ll have a safe and supremely comfortable riding experience. The high output headlights and brake lights come in handy, ensuring you maximum visibility especially at night. Complement your travel experience with the other amazing lifestyle products from Mytopia. Here you can also find a wide variety of Kids Scooters, Self Balancing Scooters and Ride-on toys. Lighten up the ambiance of your home with cool toys for kids such as Wooden Train Sets, Cubby Houses, Sandpits, Doll Houses, Toy Kitchens, Basketball and so much more. Experience the joy, fun and freedom of having an easy, safe and sound travel. Purchase a Bullet Electric Scooter today!